On this website you will find essential information about the archives in northern Bohemia, our activities in relation to individuals, other administrative bodies and institutions, and an overview of our collections, services and reading room policies. The State Regional Archives (SOA v Litomericich) is an administrative body under the Czech Ministry of the Interior. 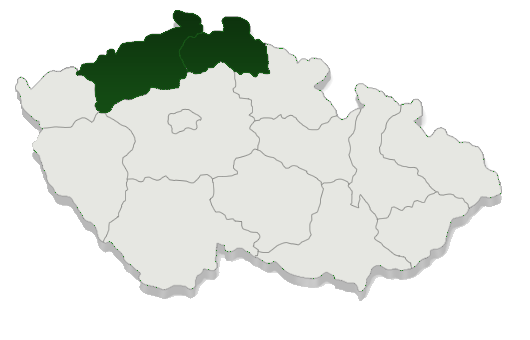 Its jurisdiction covers the geographic area of the Usti and Liberec Regions in northern Bohemia. In between the 15th and the 31st January our web pages will be migrated, therefore the VadeMeCum may suffer from temporary blackouts. We apologize for the possible inconvenience. Thank You for Your understanding. Dear researchers, on 22. 12. 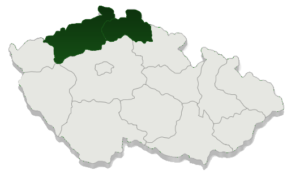 – 29. 12. 2017 shall be closed the study room of department SOkA LiberecMost – Velebudice for technical reasons. Thank You for Your understanding. Dear researchers, on 22. 11. 2017 shall be closed the study room of department SOkA Liberec for technical reasons. Thank You for Your understanding. Dear researchers, on 13. 11.-24. 11. 2017 shall be closed the study room of department SOA v Litoměřicích – Krajská for technical reasons. Thank You for Your understanding. Dear researchers, on 6. 11. 2017 shall be closed the study room of department SOkA Děčín for technical reasons. Thank You for Your understanding. Dear researchers, from 23. 10. 2017 to 3. 11. 10. 2017 shall be closed the study room of department SOkA Jablonec n. N. for technical reasons. Thank You for Your understanding. Dear researchers, on 19. 10. 2017 shall be closed the study room of department Most-Velebudice for technical reasons. Thank You for Your understanding. Dear researchers, on 18. 10. 2017 shall be closed the study room of department SOkA Most – Velebudice for technical reasons. Thank You for Your understanding. Please direct your comments on this site to Vlastimil Rošlapil.